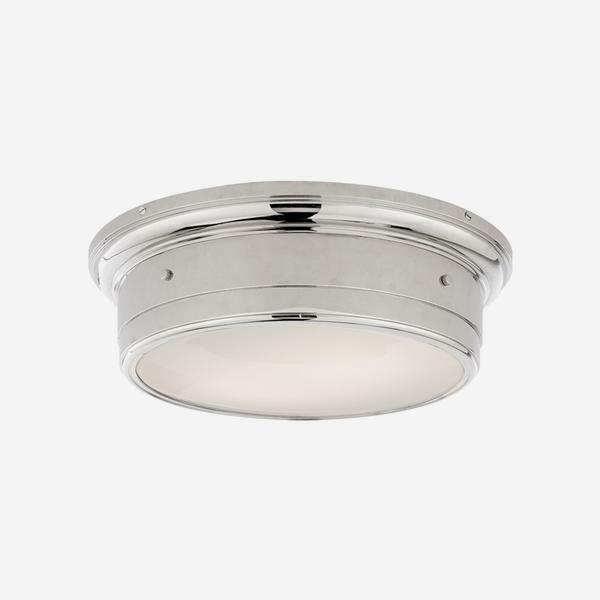 A smart ceiling light like a glowing nautical porthole in shiny nickel with white covered glass. 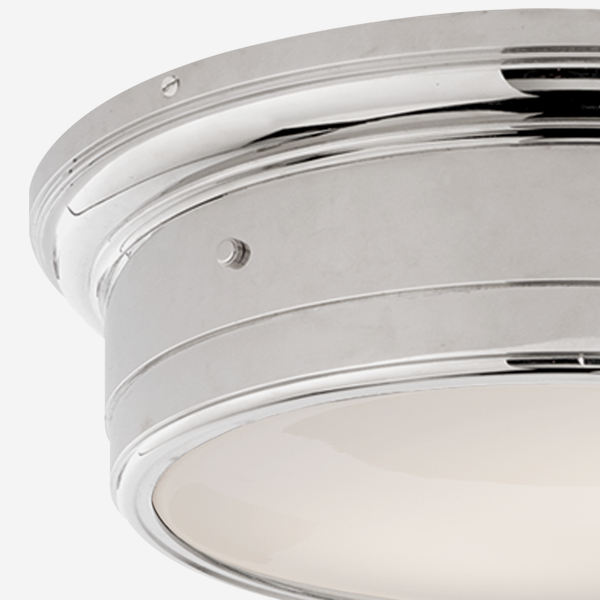 Crisp and subtle, Siena gives an all-over glow to a room. Available in two sizes.